As the dust settles down on the government’s big-bang jamboree earlier this month to woo the start-up community through the ‘Startup India’ Action Plan, tax experts, investors and start-up founders feel the success of the initiative would depend largely on changes in several existing laws, resolution of tax-related issues, and the ability of the states to make compliance easy and simple. To a great extent, Budget 2016 may hold some answers to the concerns of the start-up community. To start with, experts point out that though the definition of ‘start-up’ in the SAP document is wide, the procedure for qualification may involve substantial red-tape. When it comes to registration of a business, the multiple trips to the registrar of companies, timelines for name acceptance, and the incorporation process could be crunched by condensing forms and through use of pre-accepted charter documents. “This affords legal protection for founders to hit the road running, rather than engage lawyers or accountants to work with drafting of charter documents,” says Aarthi Sivanandh, partner in law firm, J Sagar Associates. Interestingly, the SAP document does not say much about the role of the states in making compliance simpler. “Most of the licences and approvals required to actually commence business operations are regulated by the state. "It would go a long way if states were to shift many of these applications online, and instead of approvals make the licence available on a self-certification basis,” notes Ajay Joseph, partner, Lakshmikumaran & Sridharan. Adds Preeti Balwani, partner, Rajani Associates: “The success of the self-certification model for labour, environmental clearances, and other compliances would depend largely on the attitude of the states.” Compliances for labour, fire safety and other clearances vary from state to state. “Companies looking to expand their operations from one state to another may need to consider whether such situations warrant multiple compliances in various states,” she says. Start-up founders and legal experts feel that a host of laws needs to be changed to facilitate the ease of doing business. According to Sanjay Khan of iSpirt, a think-tank promoting the cause of the software product sector, the key laws that need to be amended include the regulations made under the Foreign Exchange Management Act, 1999, by the Reserve Bank of India, Income-tax Act, 1961, and allied laws by the Central Board of Direct Taxes, and the Companies Act, 2013, along with related laws by the Ministry of Corporate Affairs. Legal experts point out that while the SAP refers to relaxation of provisions pertaining to winding up, among other things, statutes such as the Companies Act, 2013, must be amended to reduce the burden of compliances applicable to such smaller entities. “Stringent compliances and procedures that are applicable for incorporation, must not be strictly applicable to a startup,” says Joseph. Tax-related issues that affect merger and acquisitions in this space stick out like a sore thumb. When a start-up accepts money from investors above the fair market value of its shares, which is almost always the case, then the excess amount is treated as income in the hands of the start-up, and is taxed accordingly. So far, investments made by venture capital funds have been exempted from this rule. 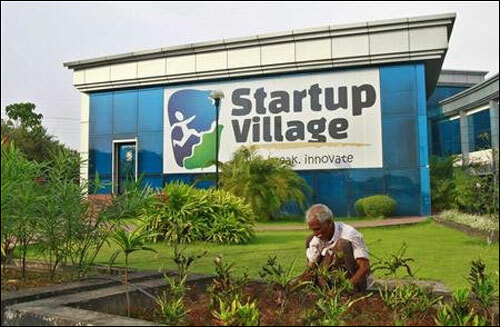 SAP recognises this issue, but exempts investments made by incubators from this rule. Similarly, if anyone invests from countries such as Mauritius or Singapore, subject to certain requirements being met, she is not liable for capital gains tax (in either India or the home country). On the other hand, persons investing from the US or within India (which is the biggest investor class for start-ups) are liable to pay capital gains tax. “To avoid this, investors ask start-ups to move to jurisdictions such as Singapore where no capital gains is payable and moving money is easy,” notes Khan of iSpirt. Again, the action plan recognises this issue and exempts capital gains tax but this is applicable only if the capital gains so made are invested in the Fund of Funds to be created by the government. “The action plan limits the benefit of such exemption only to incubators, and does not cover angel investors and high net worth individuals,” says Vivek Gupta, partner, BMR Advisors. Other key tax issues include difference of holding period for long-term capital gains for listed and unlisted shares, lack of clarity on taxation of convertible instruments and collection of service tax on accrual basis. Unless the exemptions are extended to Minimum Alternate Tax provisions, the proposed tax incentives would be of limited use for the start-ups. On the proposal to ease exits for startups through use of the bankruptcy code, legal experts are of the view that the government could simply have directed the MCA to fast track winding up schemes for companies that fall within the definition of ‘startups’. According to Prem Rajani, managing partner, Rajani Associates, the emphasis should be more on exits through initial public offering, rather than on bankruptcy laws that are more tuned to the needs of the secure lenders. Sebi’s recently launched institutional trading platform, a new window for start-ups to list on stock exchanges, could come in handy, after diluting some listing conditions. This includes aligning the eligibility criteria of listing on the ITP with the definition of startups according to the action plan, allowing start-up founders to hold more than 25 per cent equity and not restricting the platform to only institutional investors and HNIs. Clearly, the jury is out on the implications of SAP on the start-up ecosystem.